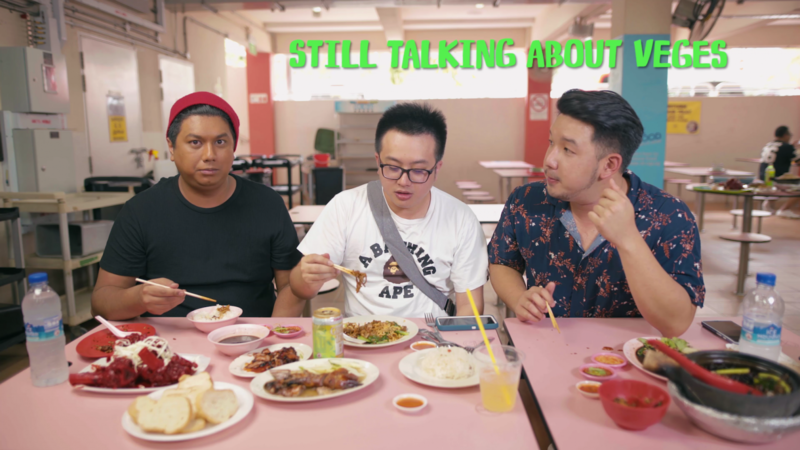 It’s Fridayyyyy and welcome to our latest episode of Food King! 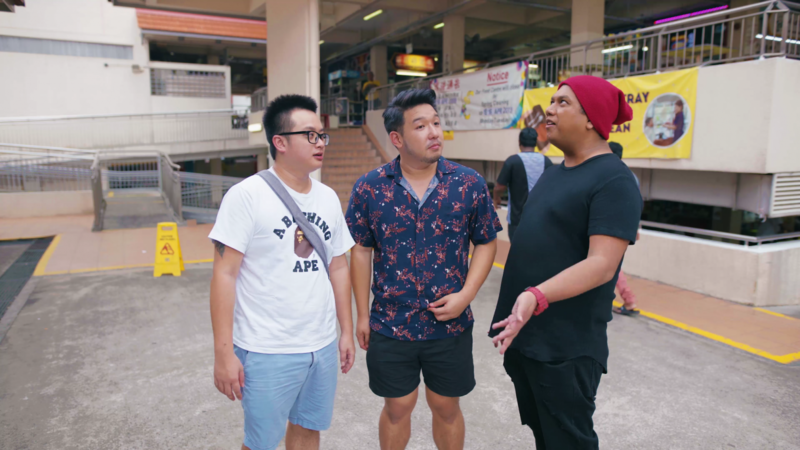 And you’ve guessed it… we are going to bring you another hawker episode this week. And we are so happy to be back to one of our favorite hawker centre. The food’s here not only good, it’s golly cheap too… just like Aiken! Yup he agree haha. 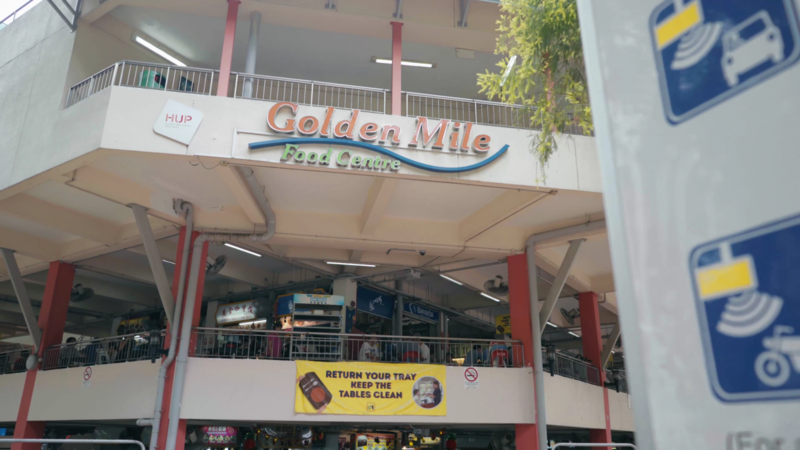 By now, almost every Singaporean should know about Golden Mile Food Centre and the army of good food it markets (no pun intended). So today, we are back at of our favorite hawker once again. Can you believe we have been here 4 times already and yet we haven’t even featured all the stalls? Amazing. 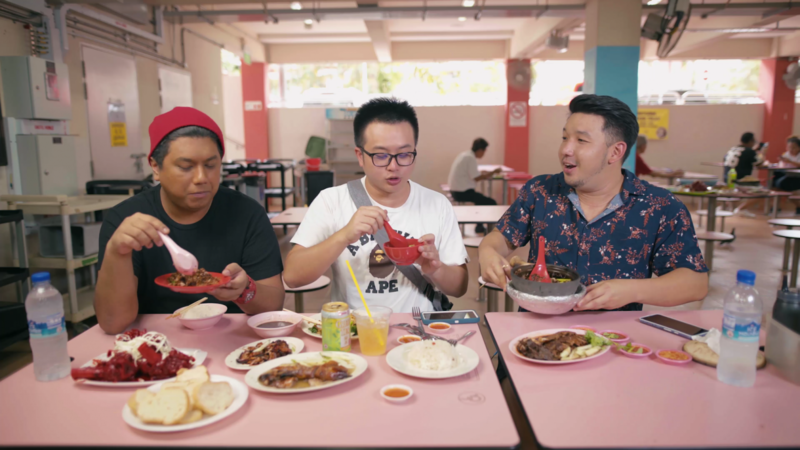 But will this episode be the one that end it all for this wonderful hawker centre? Well, stay tuned! 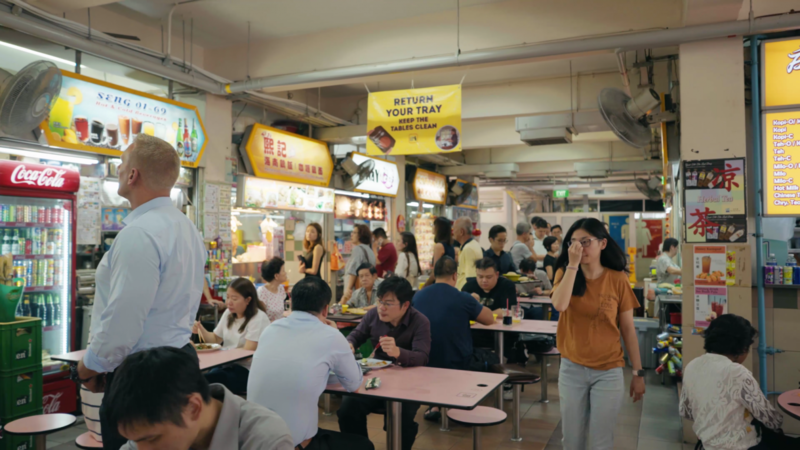 Built in 1975 to accommodate the hawkers at the very popular Jalan Sultan street market, there is a certain non-mainstream-ness about the food at Golden Mile Food Centre and if anything, it can be boiled down to where it’s located. Many of the hawkers here offer that extra something special whether if it’s their own unique take on a local favorite, selling something completely new or even insisting on sticking to the traditional ways which take up too much time and effort to prepare. That means that you won’t get the same old predictable fare that you get in every other food court or hawker centre. As you can see, we have a plethora of dishes on the table. 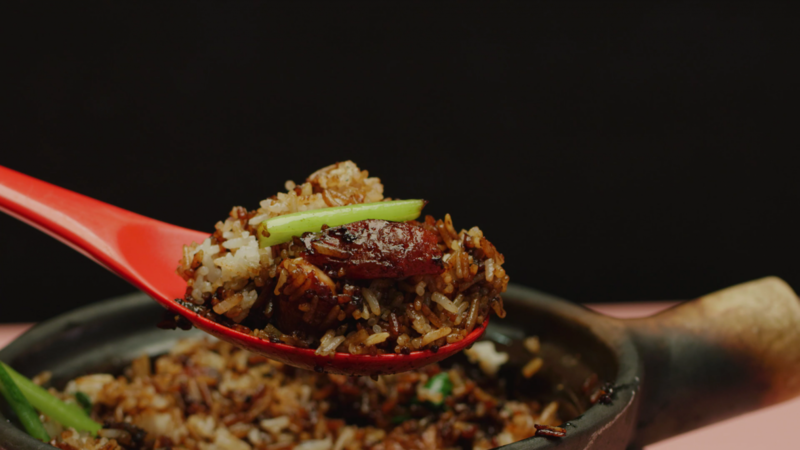 So first up we are going to try with this famous Claypot Rice from Yew Chuan. 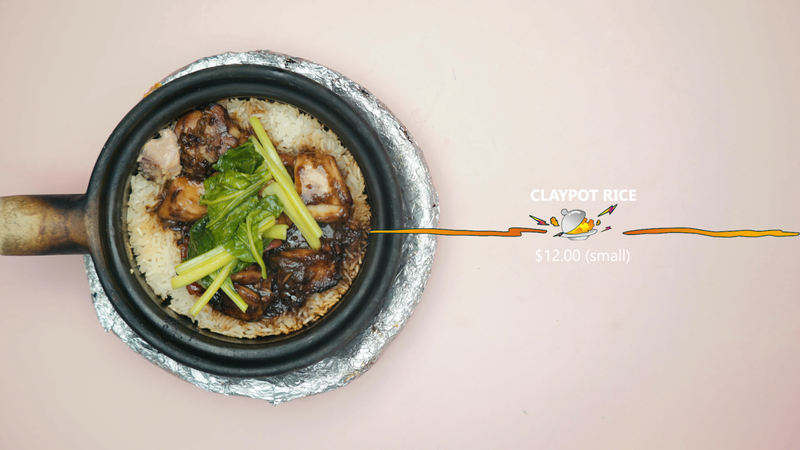 Yew Chuan Claypot Rice has been in the business for more than 20 years. The stall is run by a husband and wife team. Such dedication! And what to you do in BMT after you train? 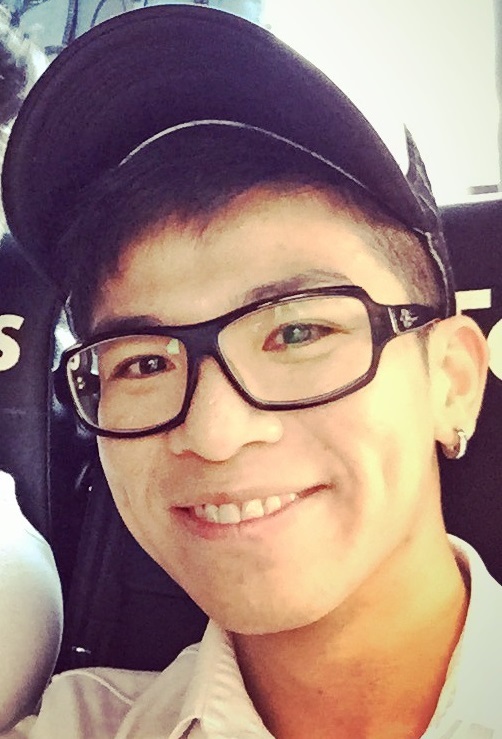 You eat Yew Chuan! Get it? Word puns FTW ya! 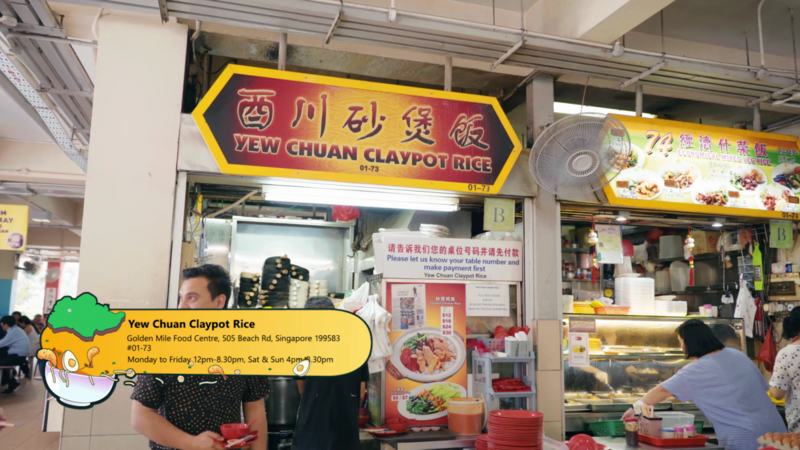 Yew Chuan’s Claypot Rice comes with very sizeable pieces of semi-dried salted fish along with vegetables, lap cheong (chinese sausage) and slices of yun cheong (liver sausage), an ingredient which is not very common in claypot rice at the hawker level. 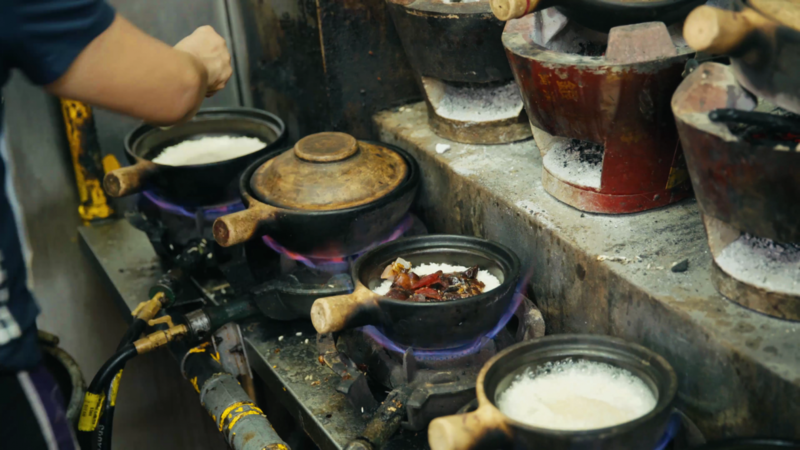 The owners first cook the rice over gas and later switch the pot over to gentle wood fire to get some of that smoky aroma into the pot and to crisp up the bottom of the pot for the fan chiew or burnt rice. We can definitely smell the smoky aroma and it is one of the few places which has a thicker-than-usual layer of crusty rice. The pieces of chicken are well-marinated and have a soft texture and bite to them. 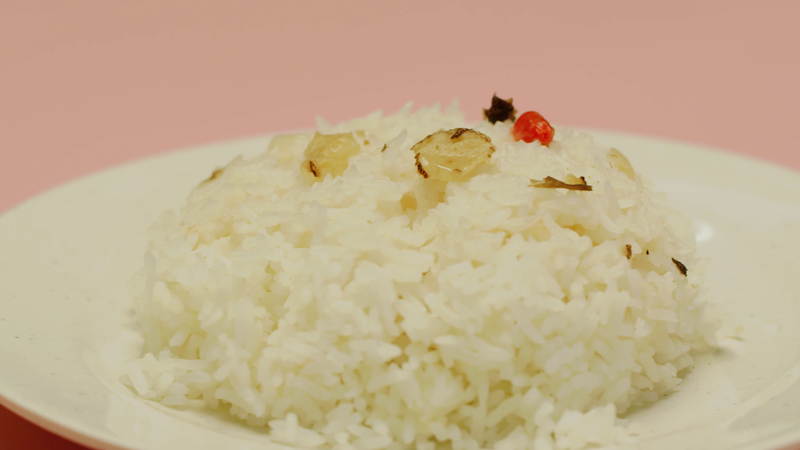 However, we feel that the rice did not really absorb all the essence of the chicken and the other ingredients. Everything taste very much like separate components instead of one wholesome dish. Despite this, it is no doubt still a very good bowl of claypot rice. 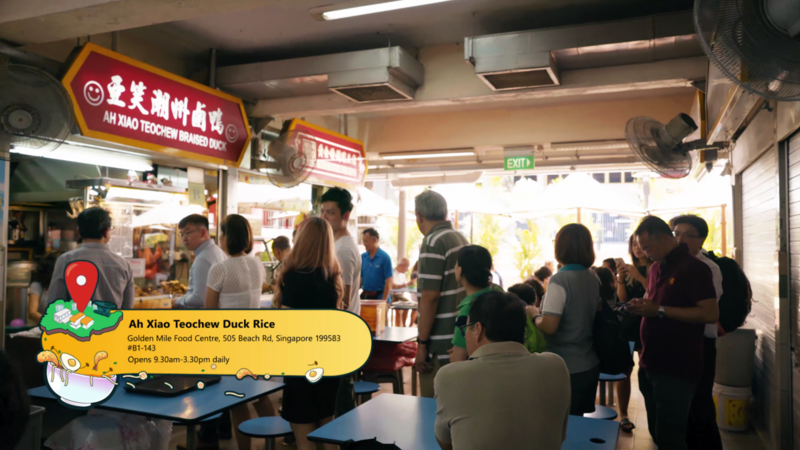 Next up, we will be having Golden Mile’s famous duck rice. 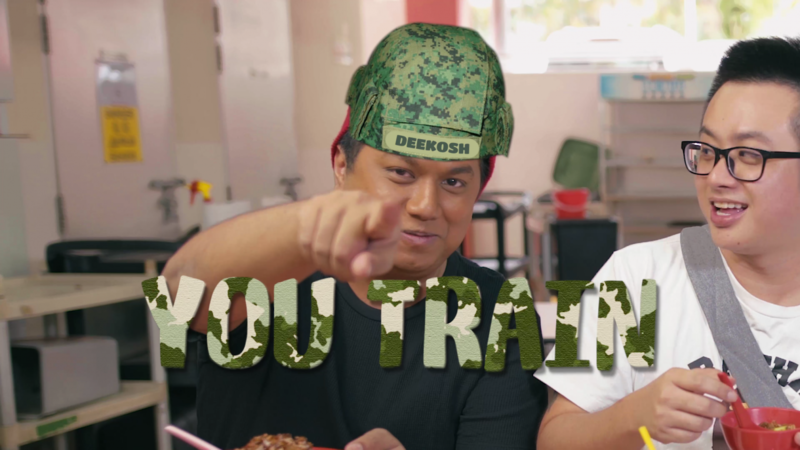 Nestled in the basement, Ah Xiao Teochew Braised Duck is one of the best food options in the Army Market. 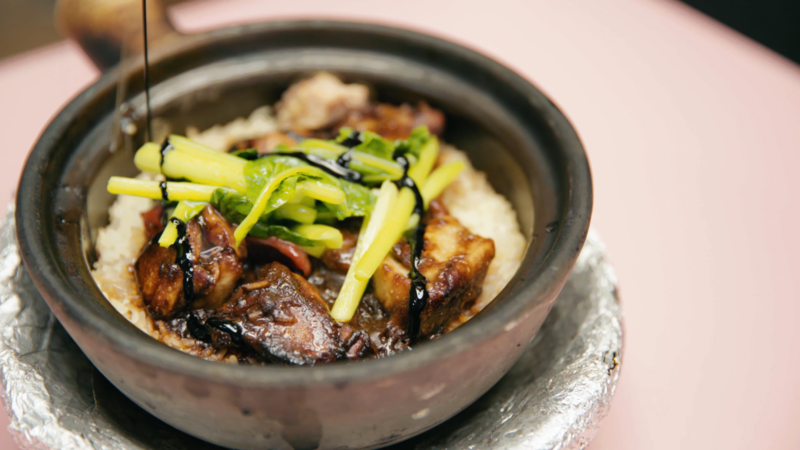 As its name implies, this stall serves braised duck with either rice or kway chap. 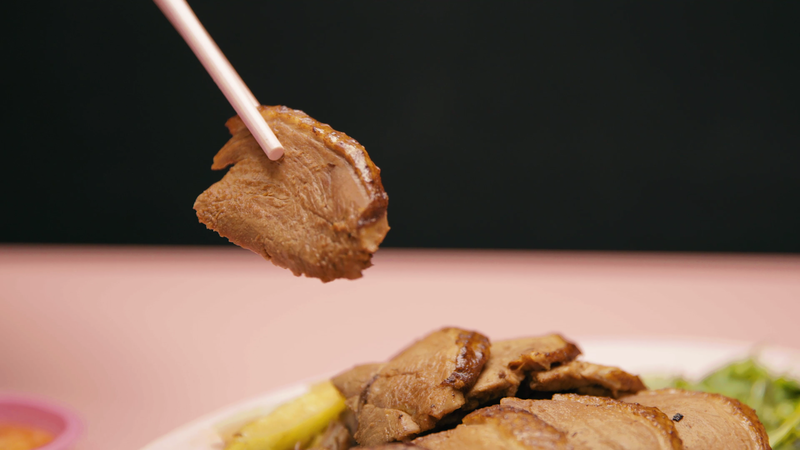 They have the usual sides of duck gizzards, Teochew fish cake and braised egg. They also have a small selection of pork belly and pig’s skin. But today we will only try their popular braised duck dish. 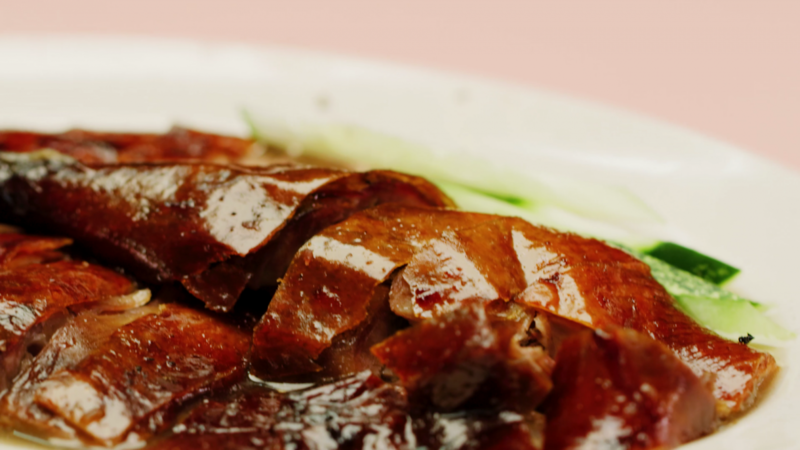 Drenched in a luscious dark gravy, the sheer sight of the supple duck slices are all too inviting. The black sauce really stands out for us. This version taste more herbalicious and less stick or gooey than most of the other stalls we tried before. 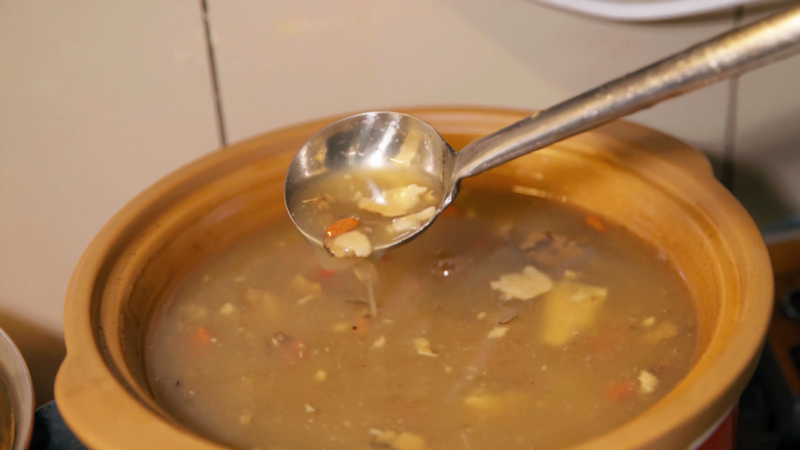 This dish no doubt has a very traditional and authentic taste to it. The delicious herbal sauce is nicely soaked up by the duck, which really heightens the overall texture and flavor. This is such a freaking good plate of braised duck! Definitely one of the best braised duck we ever had. Not to be missed. Go try it for yourself! Here we are at 91 Fried Kway Teow Mee. 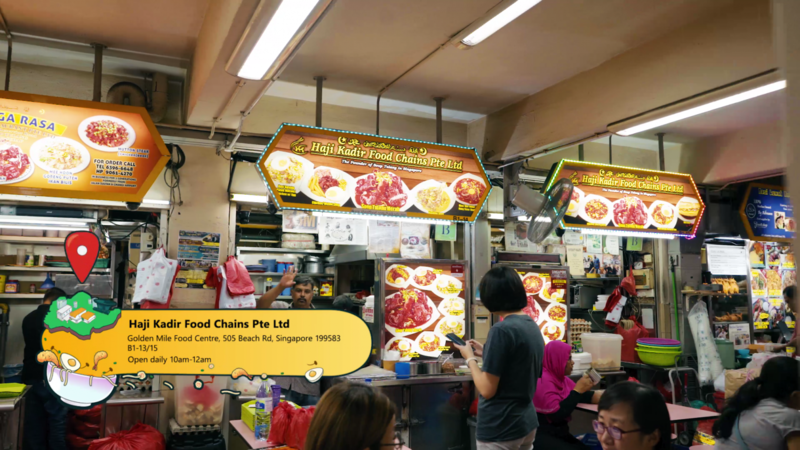 This stall is famous for putting a mound of Chye Sim on top of their Char Kway Teow. 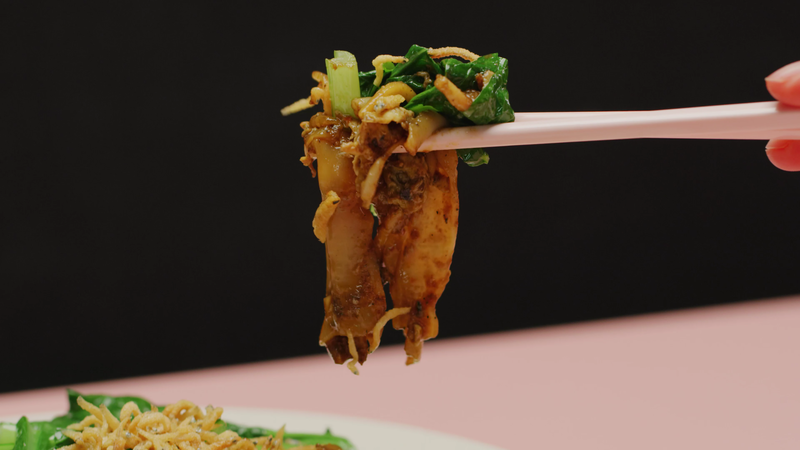 Look very much like a healthier version of our signature Char Kway Teow perhaps? But wait, there’s no pork or lard in it too?! How can this be any good? Let’s find out. 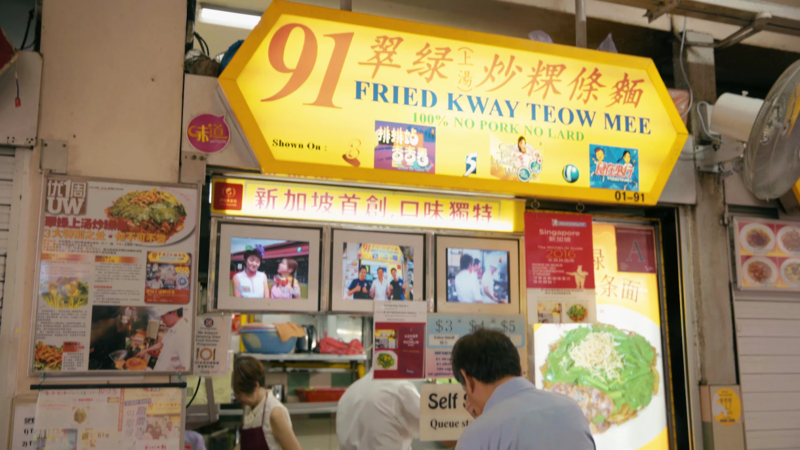 91 Fried Kway Teow Mee is known for producing a char kway teow that is not fried using pork or lard and does not fry its greens with the noodles, choosing to instead top it on the noodles with small fried anchovies. The result is a plate of noodles that is only fried with the cockles and beansprouts, which doesn’t have the extra kick despite being rather sweet and having the wok hei. Their signature topping of blanched “chye sim” and crunchy baby “ikan bilis” is brilliant. It helps to differentiate them from the many Fried Char Kway Teow stalls around. 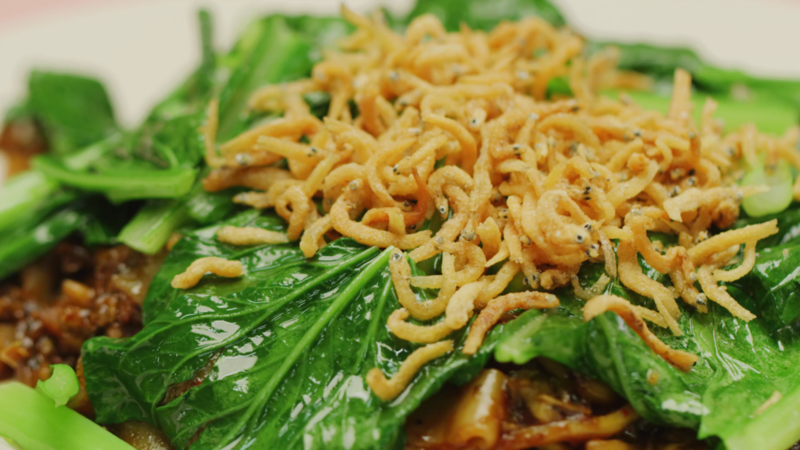 We love how the owner brings a touch of savoury and crunchiness to this dish by having putting generous servings of silverfish on top of the vegetables. 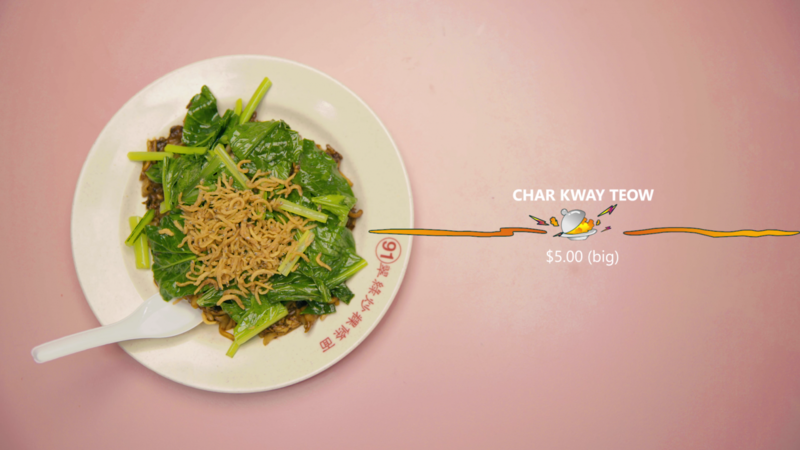 The wok hei from the kway teow is spot on too! Taste really strong and robust. A big plus point for us. 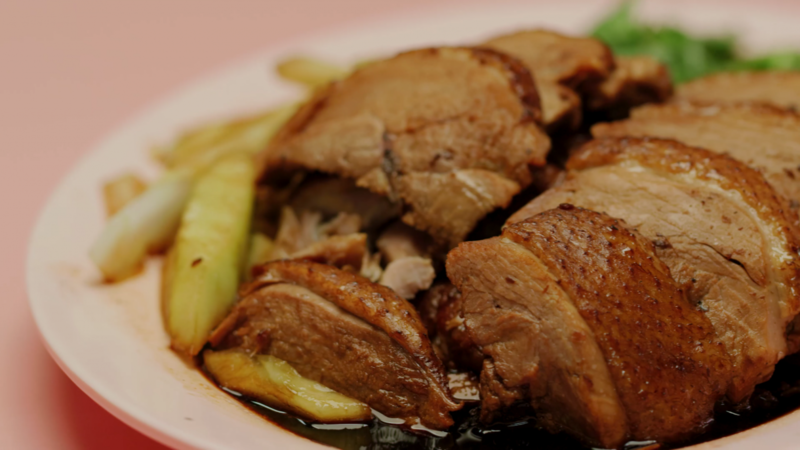 If you are a fan of Dian Xiao Er’s herbal roast duck, then you should be happy to know about this little hawker stall here which serves a similar herbal roast duck. 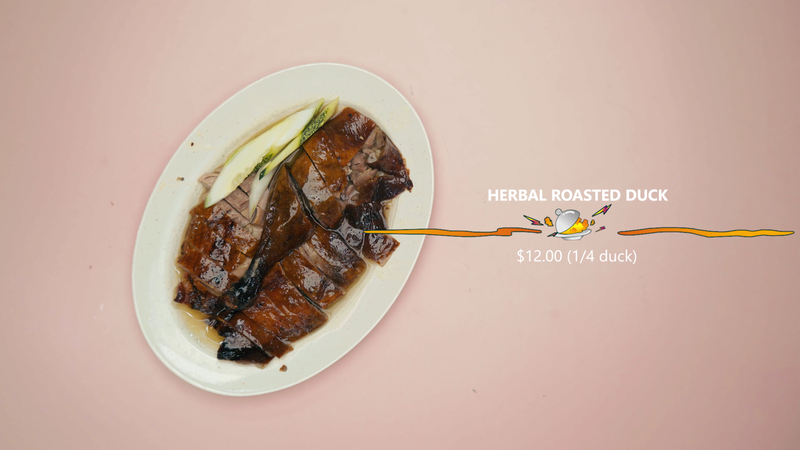 If you have never tried herbal roast duck before, fret not. We are going to bring you to a well-known herbal roast duck stall called YaLor. Are you ready? Yalor! Okay let’s go. As you can see from this plate of duck, the sauce is very different from the rest. Most stalls have the dark thick sauce, but this one here is a herbal concoction that goes very well with the duck. There’s ‘herbaliciousness ‘ written all over this one alright. They made the herbal sauce very palatable for everyone to eat. We are very impressed they made it so well. 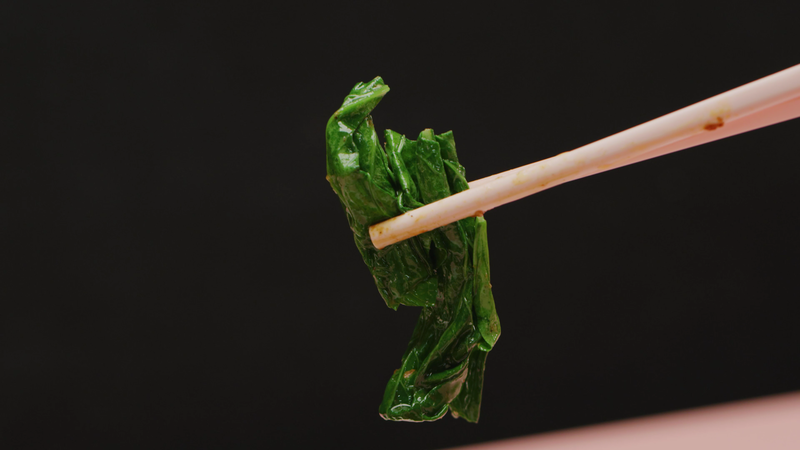 And we can even taste the crispiness of the skin together with the herbal sauce. Amazing! The duck meat is decently tender, and the paper thin skin is delightfully crispy despite having the herbal sauce drenched all over it. But the star is definitely the sauce, which covers any gaminess with a pleasant sweetness and fragrant herbal notes. 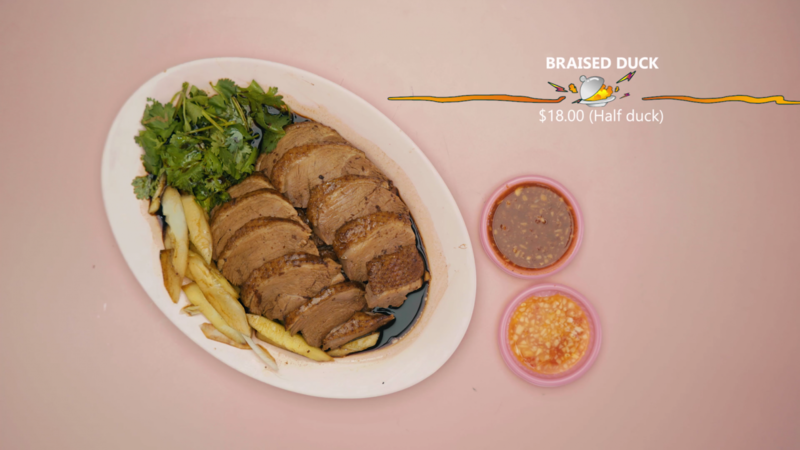 It is less salty and a little on the sweet side, but it complements the duck really well. It’s a good marriage of sorts. 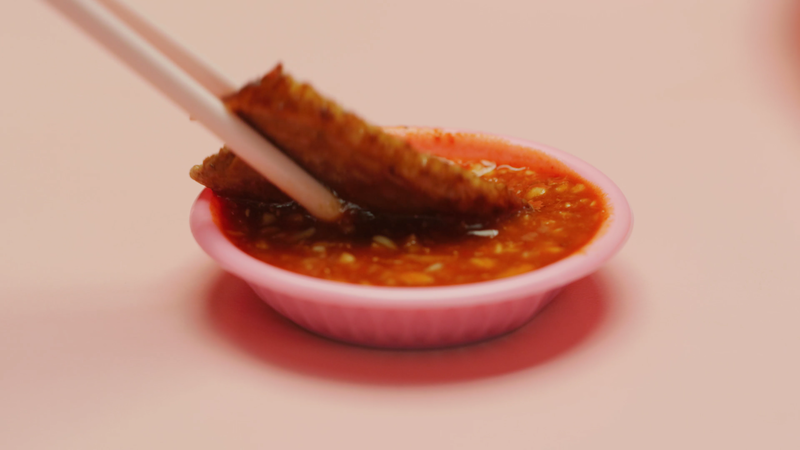 And we simply love their in-house chilli sauce, made of vinegar, garlic and chilli padi. It packs such a potent spicy and tangy punch that can’t stop dipping more of it. Wonder just how good the herbalicious sauce is? 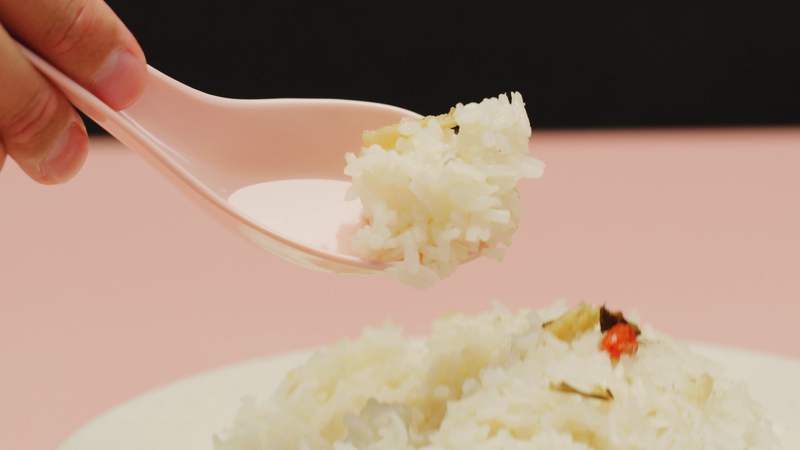 Simply pour the gravy over the rice and eat it. Heaven awaits you…. Just look at Dee’s expression. Priceless. And then there’s Ryan’s. Woahhhh!! This delightful stall is so yummy it’s hands-down Food-King Good! Amazing! Quite possibly the most messy, visceral, primitive dish you can have in Singapore, introducing the hearty Tulang Merah or Mutton Soup. 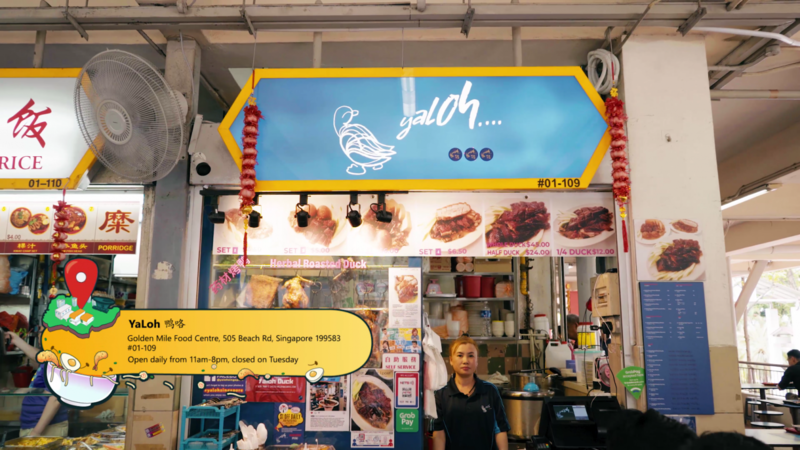 Haji Kadir Food Chains stall claims to be the first among many of the stalls in Golden Mile and in Singapore to invent this dish. They received many accolades already and now we are finally here to find out why. At first bite, we can’t put a finger on the percentage of savoriness and sweetness for this dish. 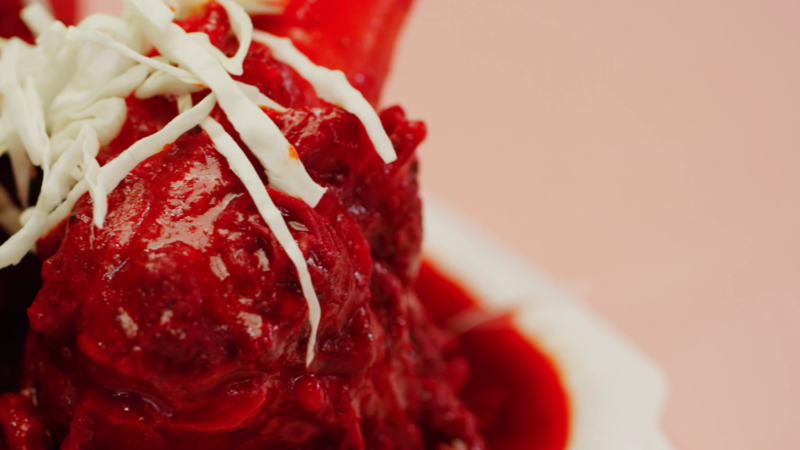 The bloody red gravy is thick, spicy with a complex sweetness and a very strong gamey mutton flavor. The sweetness of the sauce plus the gaminess of the meat is in such perfect harmony. That’s how balanced this dish is. Simply amazing. 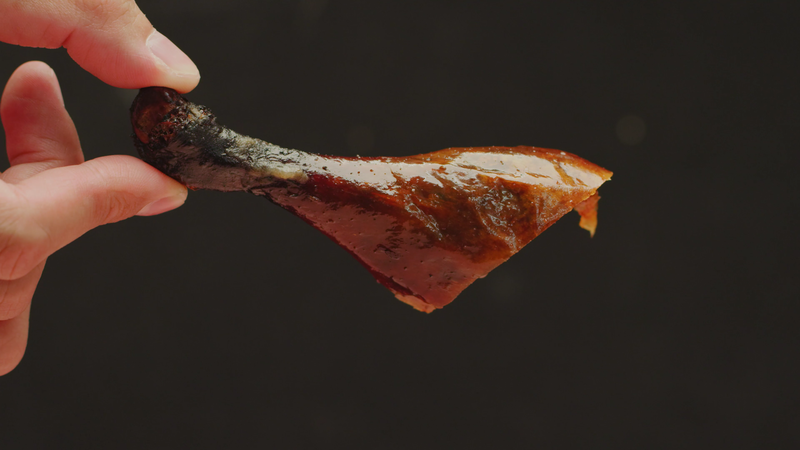 There’s no experience quite like getting your hands stained blood red from sucking out the succulent meat and marrow from giant bones hollowed out and cooked in a slightly sweet and spicy combination of spices. And if that doesn’t fill you up, it even comes with warm toasted bread for you to soak up the excess gravy and marrow. How good is that! We are very shocked by this, because we did not expect we would fancy this dish. As we had tried many Tulangs before, most of the meat were a bit smelly and strong. But this one here is really really yummy. This simply has to be one of the best Tulangs we ever eaten. Wow! Truly sedap! It’s hard to get enough of it. And yes it is Food-King Good!! It’s a wrap and boy are we full! So do ‘Bring Honour To Us All’ by clicking the link to our video below for a visually stunning array of yummy food in motion…. Ah yes it’s called Food King. FOOD KING: MACPHERSON GEMS YOU DIDN’T KNOW EXISTDEALICIOUS DEALS NOT TO BE MISSED!